A competition has been launched to design a new gargoyle for a historic Liverpool church, as part of an exciting restoration project funded by the Heritage Lottery Fund. 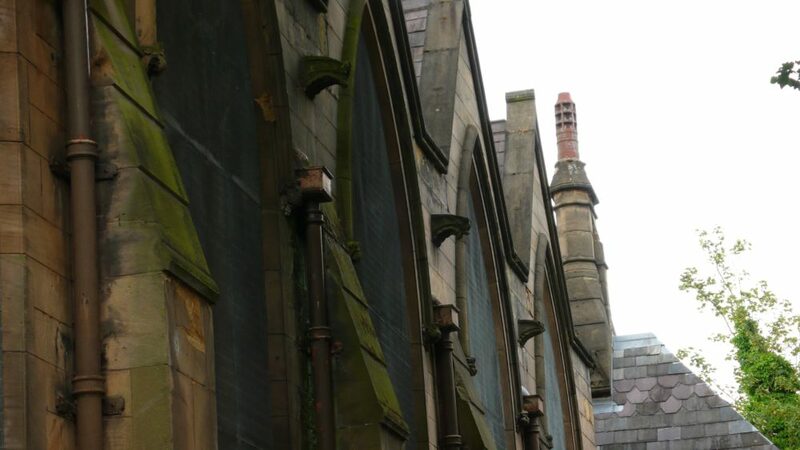 Parishioners at Christ Church Toxteth Park in Linnet Lane discovered one of the Grade II listed building’s gargoyles was missing, while investigating damage to the lower roofs which need urgent repairs. The church has held a place at the heart of the community near Sefton Park for almost 150 years, since it was consecrated in 1871 by the then Bishop of Chester. It is one of the city’s six surviving ‘Horsefall’ churches, built by the Horsefall family who funded and designed some of the city’s most important religious buildings, and is home to a treasured stained-glass window by Gustave Hiller showing Liverpool’s Anglican Cathedral under construction. The church has one of the best collections of WW1 memorial brasses of any church in Liverpool. When they were commissioned 100 years ago, Christ Church would have been one of the richest parishes in the country. The church has continued to serve the local community covering parts of Toxteth, St Michaels, Princes Park, Lark Lane and Aigburth, for almost 150 years. Now thanks to National Lottery players, a grant of £214,600 has been awarded through the Heritage Lottery Fund’s Grants for Places of Worship scheme. This will enable the repair and renovation of the lower roofs, which have suffered severe weather damage over the years, causing temperatures to plummet inside the church in winter. As part of the restoration work a new gargoyle will be commissioned to replace the missing one, on the south facing exterior on Lark Lane. Church members are appealing for help from local people to submit their design for a modern gargoyle, in the form of a simple drawing. The winning design will be transformed into a gargoyle to be installed at the church later this year. It will be carved by a skilled stonemason to take pride of place alongside the original 19th century gargoyles. Gargoyles are carved faces you often see at the end of rainwater spouts on many historic buildings. They have an important job: as rainwater runs down the roof in to the gutters it is channelled into the gargoyles, which spew the water away from the building to keep the stonework dry. Annette added: “For many years the congregation has struggled with the impact of the water cascading down the walls; the building is freezing in the winter. Launching the competition, Reverend Keith Hitchman, vicar at Christ Church Toxteth Park said: “Christ Church Toxteth Park is a prominent historical and architectural feature of the landscape of the Sefton Park area of South Liverpool, the spire of which can be seen from miles around. “This current phase of ongoing restoration work marks the beginning of an exciting new chapter for the Christ Church congregation. Churchwarden Tinho da Cruz, said: “We hope that the warmth of the past can still be found in the building and the people today”. Christ Church Toxteth Park is an inclusive church and welcomes people of all faiths and none to come and enjoy the building, get to know the congregation, and learn more about the heritage of the church from 1871 to the present day. Anyone can enter the Christ Church Toxteth Park Gargoyle Design Competition 2018. Take a photo of your design and email it together with the completed application form saying why you think your design should win, to CCTPGargoyle2018@gmail.com bymidnight on August 3. Thanks to National Lottery players, HLF invest money to help people across the UK explore, enjoy and protect the heritage they care about – from the archaeology under our feet to the historic parks and buildings we love, from precious memories and collections to rare wildlife. www.hlf.org.uk. Follow us on Twitter, Facebook and Instagram and use #NationalLottery and #HLFsupported. To date, almost £100million in HLF grants has been awarded to projects across the UK so they can mark the Centenary and explore all aspects of First World War heritage that matters to them. Through its First World War: then and now programme, HLF is making at least £1million available per year for six years until 2019. It is providing grants between £3,000 and £10,000 enabling communities and groups right across the UK to explore, conserve and share their First World War heritage and deepen their understanding of the impact of the conflict.